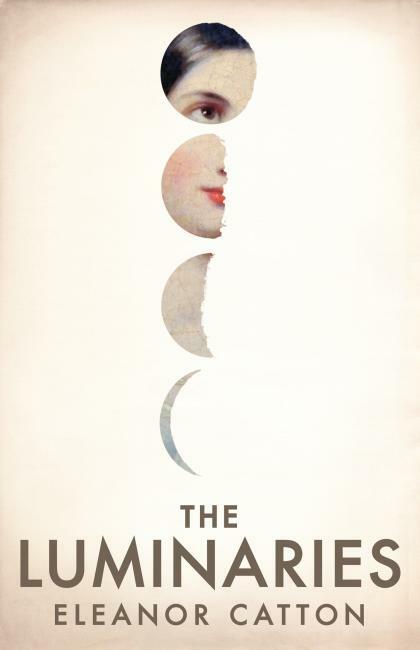 I’ve started reading Eleanor Catton’s The Luminaries, winner of The 2013 Man-Booker Prize, and I’m in awe. It’s fiercely intelligent. The language consistently reflects the mid-19th century, and rolls along in an improbable mix of luxuriously precise prose. Sometimes I stop and reread sections aloud to savour the sound and the rhythm of the words on my tongue. The plot, a murder/mystery of sorts, is complex and richly textured. It will have you working overtime to process the information you discover, and then work out how this shades the characters’ actions and motivations. The challenge is as exhilarating as a cryptic crossword and as exciting as connecting disparate pieces and finding meanings. Much of the beauty in The Luminaries comes from her depictions of place. In the following excerpt the settlement of Kaniere opens up before the reader’s eyes at the same time it does for the characters. Catton starts with a broad sweep of the landscape, positioning ‘the canvas settlement’ in the ‘lattice of gullies and streams’ between the Alps and the sea. Just the one word, ‘canvas ‘ expands to take in the transient, makeshift and rudimentary nature of the settlement. From the broader picture the paragraph narrows to one element – water, used synonymously here with gold. Water bears down from the Alps on its way to the sea in a variety of sonorous movements, as does the gold the characters covet. The details Catton uses are specific, concrete and meaningful. We are placed in a landscape of ferns, trees, moss, and the ubiquitous water. She uses words such as ‘dripping‘ and ‘making fat‘, bringing to mind people dripping in money, and getting fat on the proceeds. The ‘water beading on the branches‘ suggests something sparkling. The images are strong of a boot making an indent in the sodden earth, and watching as the water fills the footprint, welling up inside it. The scene is submersed in water, and consequently in gold. Each micro detail adds reality and dependability to the scene, and at the same time, hints at the layers of meanings in the text. Rarely do you find a work of fiction that is so beautifully rendered in every aspect of writing craft that it deserves an emerging writers’ intense analysis and study. This novel is one of them. This entry was posted in Books and tagged Booker, description, Eleanor Catton, fiction, significant detail, The Luminaries, writing craft, writing skills. Bookmark the permalink. Wow Karen this sounds a great read. I shall go look it up. Thanks for this great review. Happy New Year to you, Michael. The novel does take a little perseverance in the beginning, not because it’s slow, but because the structure is quite complex and the characters are plentiful. There’s a character list at the front which helps. Thank you so much, have looked it up already on ibooks will get it later. Have a good one Karen. Wow. Interesting!! 🙂 Keep writing!!! Thanks for commenting and for following my blog. I’m glad you enjoyed the post. Karen, you’ve hooked me in with your review of Eleanor Catton’s ‘The Luminaries’ and I’ve added it to my ‘must read’ list. Your blog says to me that I need to immerse myself more deeply in whatever I’m writing, try to merge with the words themselves and give each and every one of them true purpose for their existence in the piece. Hi Diana. You are exactly right. Every one of Eleanor Catton’s words are carefully chosen and they justify their place in more than one way. It’s writing at its best and we can learn a lot from it. Your review of ‘The Luminaries’ could be read as advice on how to write using every aspect of writing craft. A mystery therefore can be both plot driven and character driven and include beauty through depictions of place. this has given me much food for thought regarding my writing. I’m rereading ‘The Luminaries’ now to analyse Catton’s writing. I got lost in the story and the experience too many times in the first reading to take note of how she achieved such a richly textured world. She is a brilliant writer and only in her late 20s. You have no cause to hide, Jessie. Let Catton’s writing inspire you to learn from it and develop new skills.